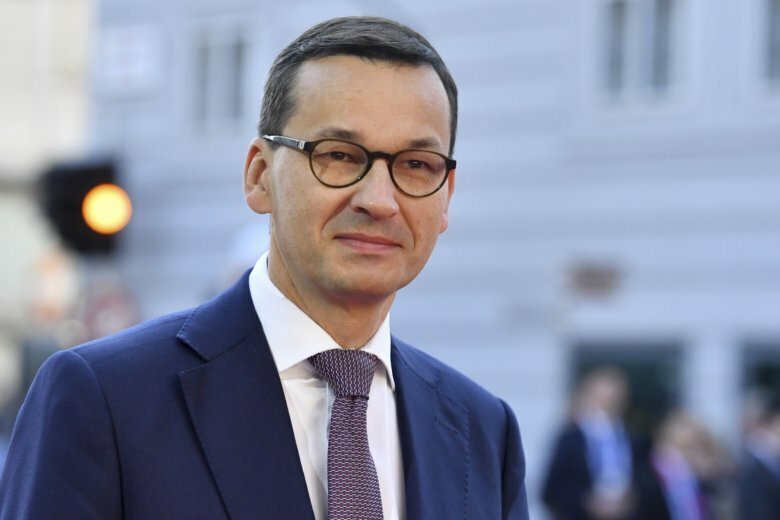 WARSAW, Poland (AP) — Polish Prime Minister Mateusz Morawiecki has published a court-ordered correction of the criticism he had directed at the country’s previous government over road construction. The printed text of the correction, signed with Morawiecki’s name, was shown on state television and on private TVN screens before the main news programs Thursday and was also read out by a female voice. An appeals court had ordered Morawiecki to publish the correction by Friday night. In the correction, Morawiecki said his words were “untrue” when he told a rally ahead of Poland’s Oct. 21 local elections that over a period of 18 months his right-wing government has spent more on construction and maintenance of local roads than the previous administration did during their eight years in power. The centrist opposition party, Civic Platform, which had been Poland’s previous ruling party, had taken Morawiecki’s statement to court. The ruling was announced Wednesday and was not subject to appeal. Civic Platform leader Grzegorz Schetyna had demanded a public apology and Morawiecki’s resignation. The local election is seen as a major test ahead of next year’s parliamentary election. The ruling conservative Law and Justice party enjoys by far the greatest popularity in opinion polls.